Beginning at around age 9, your cat enters senior years. At this stage, cats often begin to develop diseases common to their senior-human counterparts, such as diabetes, heart disease, hyperthyroidism, kidney disease and cancer. In fact, one out of 10 pets that appears healthy, has an underlying disease, one of the reason yearly check-up are highly recommended especially as your beloved pets begin the geriatric stages of their lives. Beginning at around age 7, many dogs enter their senior years. At this stage, dogs often begin to develop diseases common to their senior-human counterparts, such as diabetes, heart disease, hypothyroidism, kidney disease, and cancer. 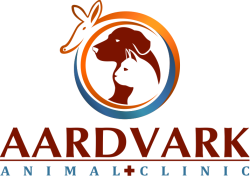 In fact, one out of ten pets that appears healthy, has an underlying disease, one of the reason yearly check-up are highly recommended especially as your beloved pets begin the geriatric stages of their lives. 1. Rehm M. Seeing double.Veterinary Economics. 2007;48(10):40-48. Chart courtesy of Fred L. Metzger, DVM, DABVP. The above ages are intended as general guidelines only. Be sure to ask your veterinarian at what age she or he would consider your pet a senior or geriatric.